Open the Call for Application 2013. Deadline: end of July 2013. See the Summer School LEX Springer book: mandatory! See the eBook service for getting the book with a special price. The school aims at providing knowledge of the most significant ICT standards emerging for legislation, judiciary, parliamentary and administrative documents. The course provides understanding of their impact in the different phases of the legislative and administrative process, awareness of the tools based on legal XML standards and of their constellations, and the ability to participate in the drafting and use of standard-compliant documents throughout law-making process. In particular we would like to create consciousness in the stakeholders in the legal domain about the benefits and the possibilities provided by the correct usage of Semantic Web technologies such as XML standards, ontologies, natural language processing techniques applied to legal texts, legal knowledge modelling and reasoning tools. An Advanced Course providing in-depth analysis of the higher levels of Semantic Web technologies and of their application to the legal domain: modelling of modifications, procedures and legal knowledge. LeX is an intensive 6-day, 8-hour-a-day program, that requires participants’ total dedication and intellectual commitment. The program’s learning process assists participants to develop knowledge, skills and capabilities in using and managing shared and interoperable standards for legislative document enabling access, communication, processing, modelling, representing and integration of legislation through IT technologies, in an open and cooperative framework. Workflow models, to cope with the lifecycle of legal documents. The summer school will address all of these aspects, through multi- and interdisciplinary competences. It will provide and integrated approach to the management of legal documentation, as a core aspect of legislative and administrative innovation. We seek applicants who are interested in legal drafting and electronic management of legal resources and who plan to work in this area in the public administration, private sector or research fields. LEX is designed primarily for officers of legislative bodies and other normative authorities (at international, national, regional and local levels), but it addresses also to drafters of normative texts in the private sector, editors, publishers, documentalists dealing with legal sources, experts in the electronic management of legal texts, students and researchers working in legal informatics and legislation studies. Tommaso Agnoloni received the Master Degree in Computer Science Engineering from the University of Florence in 1998 and the Ph.D. in Systems Engineering and Computer Science in 2002 at the Computer Science Department (DSI), University of Florence. In January 2004 he joined the Italian National Research Council at the Institute of Legal Information Theory and Technologies (CNR-ITTIG), where currently he is a Researcher. His research interests include Legislative XML standards and formats, Legal Ontologies, Semantic Markup. He has been involved in the DALOS and SEAL projects, as well as project leader for CNR-ITTIG of VoiceS project, within the eParticipation framework (DG Information Society & Media) of the European Commission. He his coordinator of the development and one of the authors of xmLegesEditor an opensource visual Xml Editor for the adoption of Legal national standards. Dr. Pompeu Casanovas is a professor of philosophy and sociology of law at the UAB Law School. He has been director of the former UAB Sociolegal Studies Group (GRES) for 12 years (1992-2004) and has over 15 years experience conducting research on legal sociology, pragmatics and AI and law. He has been principal researcher of over 25 national, European, and international projects. He has published over 10 books and 90 scientific articles in the areas of legal philosophy, legal sociology, and AI and law. His recent publications have concerned the development of legal ontologies to implement semantic web technologies. He is the general editor of the research series La razón áurea of the Editorial Comares. Dr. Pompeu Casanovas holds a doctorate in philosophy at the UAB and has conducted post-doctorate research at the universities of La Sapienza (Rome, 1987), UCSD (California, 1990-91), Stanford (California, 2000-2001), and University of Bologna (CIRSFID and IRSIG-CNR, 2006). Dr Núria Casellas is a researcher at the Institute of Law and Technology of the Universitat Autònoma de Barcelona and assistant lecturer of Legal Theory at the UAB Law School. She has participated in several national and European-funded research projects regarding the organisation of the judiciary (IURISERVICE), enhancing data protection compliance (NEURONA), improving access to multimedia judicial content (E-Sentencias), Drafting Legislation with Ontology-Based Support (DALOS, from the e-Participation EU call), or in the Legal Case Study of the Semantically Enabled Knowledge Technologies (SEKT VI Framework project), within others. she holds a PhD in Public Law and Legal Philosophy (UAB), with the thesis entitled “Modelling Legal Knowledge through Ontologies. 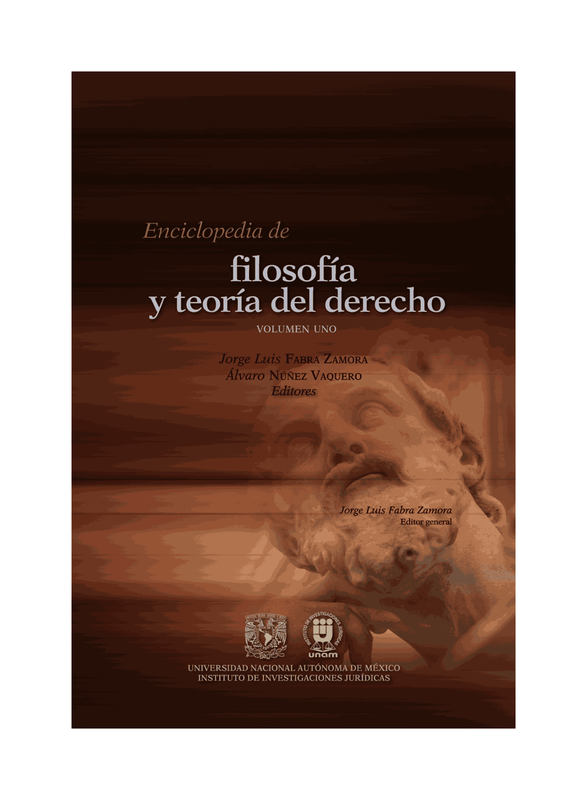 OPJK: the Ontology of Professional Judicial Knowledge”. Van Engers is professor in Legal Knowledge Management at the University of Amsterdam. Van Engers is programme committee member of international conferences such as the International Symposium on the Management of Industrial and Corporate Knowledge (ISMICK), ICAIL (International Conference on Artificial Intelligence and Law) and DEXA/E-Government. Van Engers is former chair of the Vanwoodman International Society for Knowledge Productivity and former chair of the EU-Forum working group on Change Management and Cross-Institutional Issues. He is observer at Jurix, the society for legal information sciences. Van Engers is member of the E-Government working group of the International Federation for Information Processing (IFIP). Enrico Francesconi holds a Master Degree in Electronic Engineering and a Ph.D. in Computer Science from the University of Florence. Currently is a researcher at ITTIG-CNR. His main activities include Semantic Web standards, ontologies and knowledge representation, legal drafting, AI techniques for legal document classification and knowledge extraction. He is a member of the Italian and European working groups defining XML and URI standards for legal documents. He has been involved in various projects of the European Commission framework programmes, the European Parliament and the Publication Office of the European Union. Aldo Gangemi has worked in medical informatics, knowledge engineering, semantic technologies, and the semantic web. He’s senior researcher at CNR Institute of Cognitive Sciences and Technology in Rome, and head of the Semantic Technology Lab. He also co-founded the Laboratory for Applied Ontology. His work on ontology engineering dates back to 1992. His research focuses on pattern-based ontology design, semantic social networks, hybridation of NLP, lexical and semantic resources, and metamodels for heterogeneous knowledge integration. He has published more than 100 articles in proceedings of international conferences, journals, and books. He has worked in the seminal ontology-related projects Galen, WonderWeb, OntoWeb. He has been responsible for CNR in the EU projects Metokis, NeOn, and BONy, and currently in the EU integrating project IKS, the US NSF project SocNet, and the Italian projects Semantic Scouting, Semantic IntraWeb, and Historical Knowledge Representation. Research products include e.g. the DOLCE foundational ontology, its OWL versions and extensions within the Descriptions and Situations framework (e.g. in legal, planning, business domains), the semantic versions of the large lexicons WordNet, FrameNet and VerbNet, the Ontology Design Patterns (ODP) portal, and the Semantic Scout for semantic search over the CNR research network. Simonetta Montemagni is senior researcher at the Institute of Computational Linguistics of CNR in Pisa. Graduated in Literature in 1995 at the University of Manchester Institute of Sciences and Technology (UMIST) PhD in Computational Linguistics. He carried out research in several areas: methods and tools for incremental analysis of the text at different levels of linguistic analysis (morphological morpho-syntactic, syntactic and semantic), construction of textual resources annotated with linguistic methods and tools for knowledge acquisition from structured and unstructured texts, computational lexicography and lexicology. The results of the research are reported in more than 150 publications. Among the many, national and international scientific tasks, she is member of editorial board, of scientific committees and of many conferences in the field of Computational Linguistics. She is also members of working groups aimed at the definition of European standards for encoding linguistic information (EAGLES European projects, “Expert Advisory Group on Language Engineering Standards, EAGLES and II Expert Advisory Group on Language Engineering Standards). Monica Palmirani, Associate professor of Computer Science and Law at Bologna University, School of Law, Italy. Graduated in Mathematic, Ph.D. in Legal Informatics and IT Law, teacher of several courses since 2001 on Legal Informatics, eGovernment, Legal drafting techniques, and Legal XML. She is member of CIRSFID, one of the main centres of excellence in Italy and one of the leading centres at the international level for the area of computer science and law. She is coordinator of Ph.D. Program in Legal Informatics and IT Law, and of the Master in the Law of New technologies, especially for the eGovernment module. She leads the LEXML.it group inside of a European legal XML network. She is a member of the scientific committee of the LEX Summer School, organized by the University of Bologna, Ravenna, with the goal of disseminating the usage of Legal XML in the public agencies, respecting and guaranteeing the legal principles embedded in the legal document form. The principal field of research is in Legislative and Legal Informatics, in particular she is an expert of XML techniques for modeling legal documents both in structure and legal knowledge aspects. She is proficient in Legal Drafting techniques supported by ICT and she manages several public administration projects (e.g. with the Supreme Court of Cassation of Italy, Senate of Italy, Authority of Privacy in Italy, European Parliament, Inter-America Bank for Development, United Nations) to improve legal quality, to design legal information system, and to apply point-in-time ICT techniques. She is a member of the AKOMA NTOSO project managed by the UN/DESA, which aims to promote XML standard for e-Parliament in Africa. She is also a part of the technical committee of the standardization process of the CEN MetaLex Workshop (European XML legal standard) and of the NormeInRete government initiative for the standardization of legal documents in Italy. She has contributed to the ontological aspects of the Legal Knowledge Interchange Format (LKIF) and to the formal representation of legal norms in LKIF. She is member of the Policy RuleML Technical Group, and of OASIS, serving in the LegalXML Member Section. Recently, she was invited to give a lecture at Stanford University, School of Law, within an initiative promoted by CodeX (Stanford Center for Computers and Law, part of the Stanford Research Program in Law, Science and Technology) and was a visiting professor at NICTA – Brisbane, Australia (August 2009) and Stanford University into the CodeX Center (July-August 2010). and computer law. Among his publications are: Legal Reasoning: A Cognitive Approach to the law (Springer: 2005), The Law of Electronic Agents (Oslo: Unipubskriftserier, 2003), Judicial Applications of Artificial Intelligence (Dordrecht: Kluwer, 1998), Logical Models of Legal Argumentation (Dordrecht: Kluwer, 1996), and Artificial Intelligence in Law (Oslo: Tano, 1993). Günther Schefbeck is the head of the department “Parliamentary Documentation, Archives, and Statistics”, as well as secretary to the Science Committee and the Committee on Research, Innovation, and Technology of the National Council. He has been President and is currently Vice-President of the Section of Archives and Archivists of Parliaments and Political Parties in the International Council on Archives. Since the early days of the World Wide Web, he has been researching on the societal impact of the new information and communication technologies, and in particular on eDemocracy and eParticipation issues. He is a member of DEMO-net and the Global Network of IT Experts in Parliaments, he is regularly publishing and contributing to national and international conferences in the fields of legal informatics and eDemocracy, he is occasionally teaching, e.g. at the University of Vienna, the Danube University in Krems, and within the framework of the Legislative XML Summer School at the EUI, and he has provided consultancy, e.g., to the Serbian, Georgian, and Mozambiquan Parliaments. documents, and he is a member of the working group for document standardisation of both case-law and legislation. He is the supervisor for ITTIG of the development of tools aimed at making the adoption of NIR standards easier (cross-reference parser, automatic XML-NIR conversion of legacy legislative texts, xmLegesEditor open source legislative drafting environment). Daniela Tiscornia is Director of Research at the Institute of Legal Information Theory and Techniques (ITTIG) a public research institution of the Italian National Research Council (CNR), devoted to the application of information and communication technology to the areas of law and of legal language. She has been working in the field of legal information processing, legal language analysis and in the application of AI techniques to law. Her current research interests deal with the application of Semantic Web methodologies and tools to the legaldomain and the development of ontology-based models of legal knowledge. Fabio Vitali is assistant professor at the Department of Computer Science of the University of Bologna. He holds a Laurea degree in Mathematics and a PhD in Computer and Law, both from the University of Bologna. His research interests include markup languages, distributed, coordinated systems, and the World Wide Web. He is author of several papers on hypertex functionalities, the World Wide Web and XML.